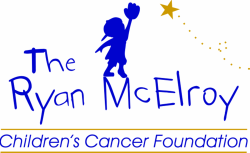 ​Chip and Judy McElroy founded the Ryan McElroy Children's Cancer Foundation in 1998, in honor and living spirit of their son, Ryan. Ryan passed away from Ewing Sarcoma just shy of his 5th birthday and it was because of him that they wanted to continue his fight for other children. Alongside with their daughter, Tralee, Chip and Judy want to make sure that no parent has any questions of would have, could have, or should have. Ryan's Foundation is here to help children fighting life threatening illnesses in honor of their son, Ryan.